Index funds and ETFs are often called “passive”, but in reality, they aren’t. Indexes change as their committees add and remove stocks or bonds from them. 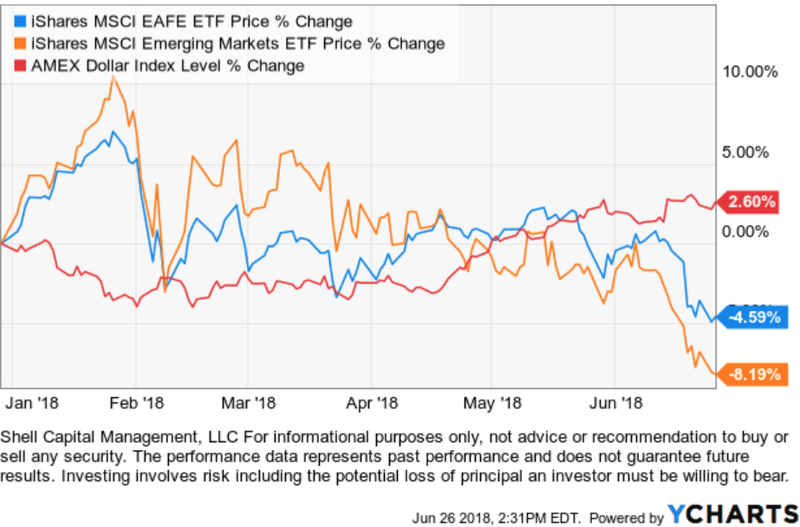 Though we generally know the exposure we can expect from an index ETF and we can see its holdings, we never know for sure in advance what stocks they’ll add or remove. Not that we need to, we don’t. But if we did know, we could front run them. Stocks that get added to an index trend up as all the index funds tracking that index have to buy the stock. The opposite is true for stocks removed from the index. General Electric (GE) was the last original Dow stock and was recently removed from the Dow Jones Industrial Average. So, the 30 stocks in that index are completely different today than the stocks it held when it started. Alternative investment strategies are sometimes criticized for being too “black box”, implying the systems and methods are proprietary and are not disclosed to investors. The truth is, we can say the same for the most popular stock indexes. Indexes are also a black box since we don’t know what they’ll do next. There are reasons they keep some things a secret, just as some of us keep the finest details of our systems and strategies private. Some things are intellectual capital and if you want to invest with someone who has it, well, you’ll just have to settle for not knowing every precise detail. If you don’t like it, don’t invest. The U. S. Sector indexes have some changes coming. In November 2017, S&P Dow Jones and MSCI announced that the Global Industry Classification Standard, or GICS, telecommunication services sector would be broadened and renamed “communication services.” The communication services sector will add select media, entertainment, and consumer Internet stocks from the consumer discretionary and information technology sectors to its current telecommunication services constituents. Here is a diagram of the changes. Sector SPDRs has already launched their ETF for the communications sector. Communication Services Sector $XLC is designed to reflect modern communication activities and information delivery mechanisms. Industries include Telecommunications, Media, Wireless, Entertainment and Internet Media. Components include Alphabet, Disney, AT&T, Verizon, Comcast and Netflix. The media talks about the so-called “FANG” stocks, which is Facebook, Apple, Netflix, and Google. Well, this ETF is almost the FANG ETF. So, we’ve adjusted our sector systems accordingly to adapt to these new changes. Performance is historical and does not guarantee future results; current performance may be lower or higher. Investment returns/principal value will fluctuate so that an investor’s shares, when redeemed, may be worth more or less than their original cost. Most recent month-end performance is available in the Performance topic. Past performance does not guarantee future results. The interest rate on the 10 Year Treasury has gained over 20% so far in 2018, but I noticed it’s more recently settled down a little. One of my ASYMMETRY® systems generated a short-term momentum signal today for the Utility and Real Estate Sectors. This signal indicated the short term trend is up, but it may have reached the point they may pull back before they continue the trend. We see in the chart below, Utility and Real Estate Sectors are down so far in 2018, but they are gradually covering. I find it useful to understand return drivers and how markets interact with each other. The direction of interest rates, the Dollar, inflation, etc. 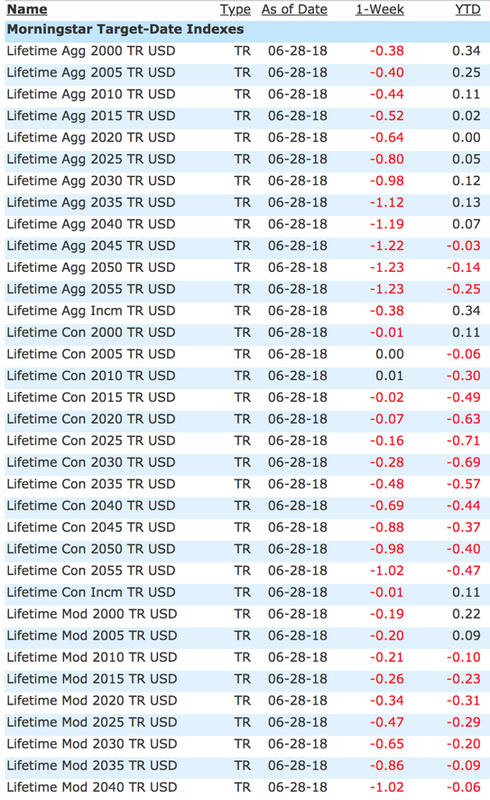 all drive returns for markets. In the chart below, I drew the black arrow to show where interest rates started declining this month and Utility and Real Estate Sectors trended up. Utility and Real Estate Sectors are sensitive to interest rates. These sectors use leverage, so as interest rates rise, it increases their cost of capital. Another impact is higher interest rates on bonds compete with them as investments. Utility and Real Estate Sectors are high dividends paying sectors, so as bond yields trend higher investors may start to choose bonds over these equities. 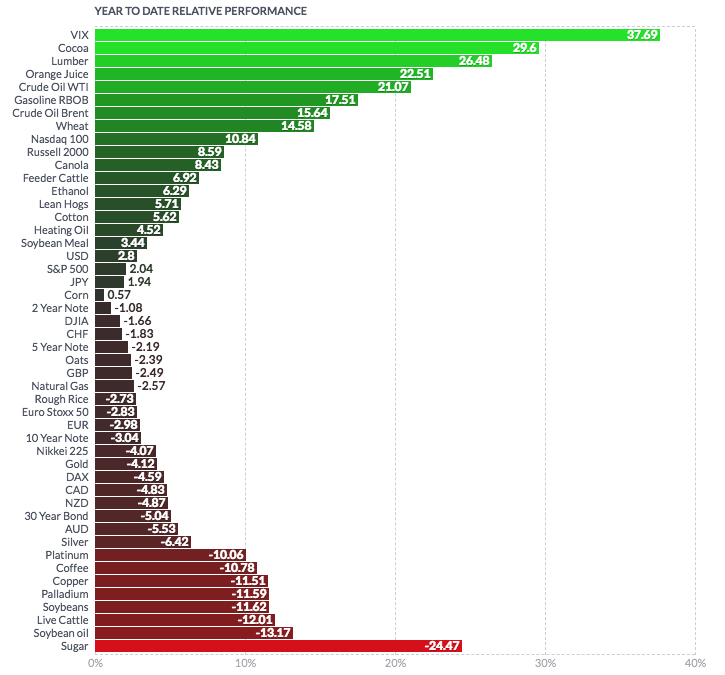 Below is a 1-year chart. You can see how interest rates increasing over 30% over the past year has had some impact on the price trend of the Utility and Real Estate sectors. But, at the moment, these sectors have trended up, as interest rates have settled down. Conventional wisdom says to create a diversified portfolio of markets. However, it doesn’t do much good if those investments tend to move in the same direction in response to changing market conditions. 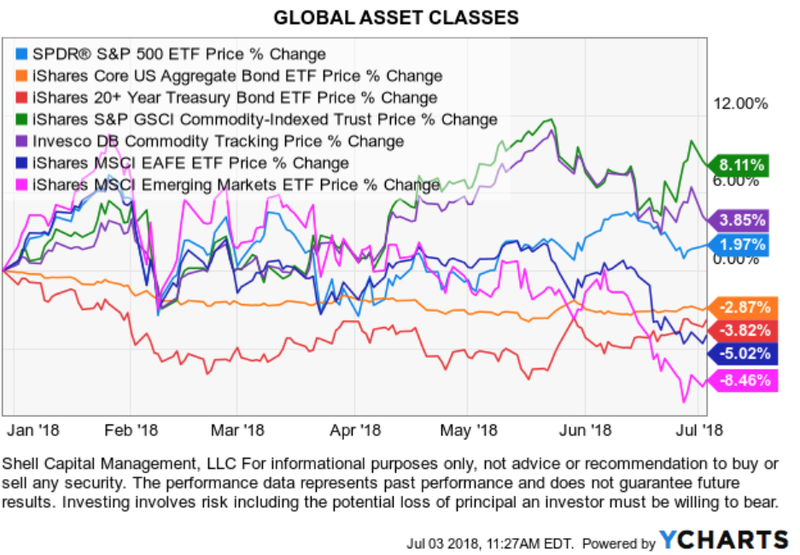 Combining U.S. and international investments can result in a better-diversified portfolio whose holdings don’t march in lockstep – so when some go up, others go down, and vice versa. The result: a potential reduction in the volatility of your total portfolio in the long-run. 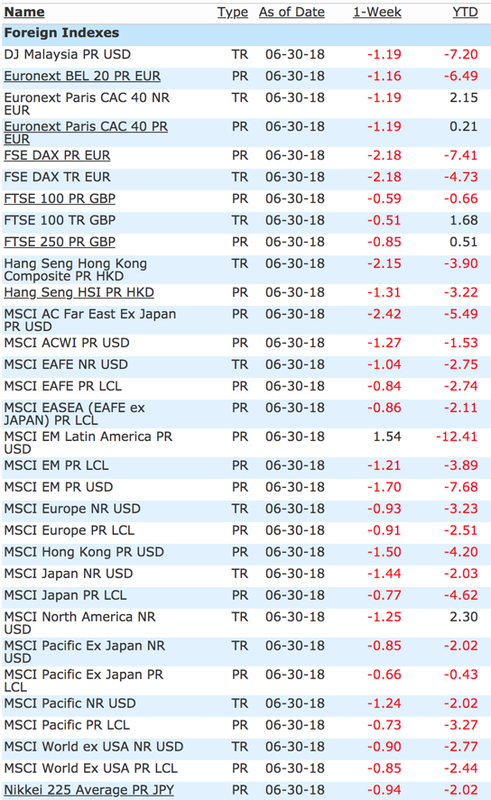 Since International stocks may not always trend the same as U. S. stocks, I prefer to rotate between these markets rather than allocate to them all the time. International stock markets can be broadly divided into developed countries and emerging markets. The MSCI EAFE Index includes developed countries. The MSCI Emerging Markets Index includes smaller countries. So far in 2018, International stocks are down. 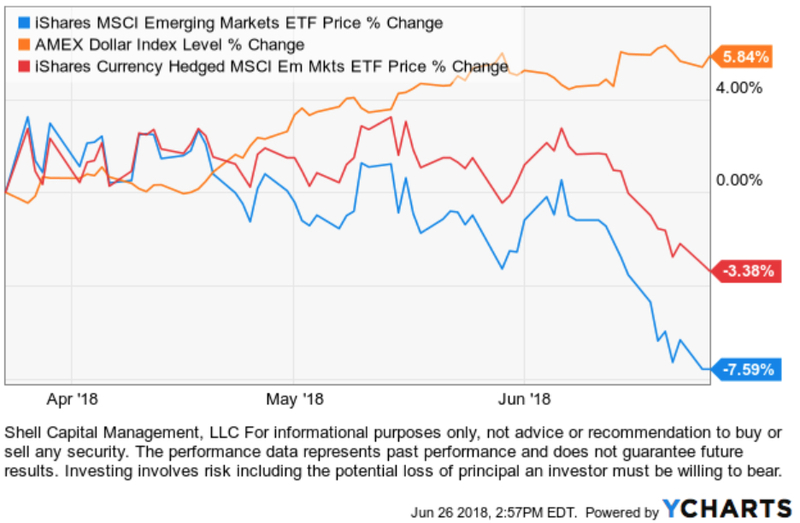 Developed markets are down -4.6% and Emerging Markets are down -8%. One reason International stocks and trending down for U. S. investors is the Dollar has trended up. Currency risk is a significant risk facing investors in International and emerging markets. This is an example of why it’s useful to understand the driver of returns and how markets interact with each other. Below is the same change, but I’ve added the U.S. Dollar Index. The Dollar started trending up in April, which is no surprise with the interest rates rising, which means the yield on our Dollar is rising. Around the same time the Dollar trended up, we see these International stock indexes declined. These ETFs are traded in U.S. Dollars, but they are International stocks in other countries, so they are impacted by a change in currency. 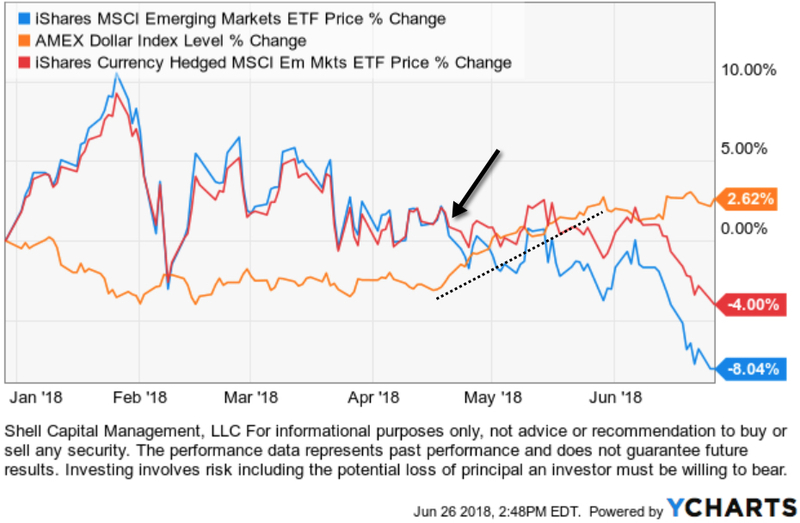 I’ve compared the non-currency hedged Emerging Markets ETF below to the Currency Hedged Emerging Markets ETF. I highlighted the uptrend in the Dollar with a black dotted line. You can see up until the time the Dollar started rising, where I marked with a black arrow, the two ETFs were trending close. Since then, their price trends began to diverge. 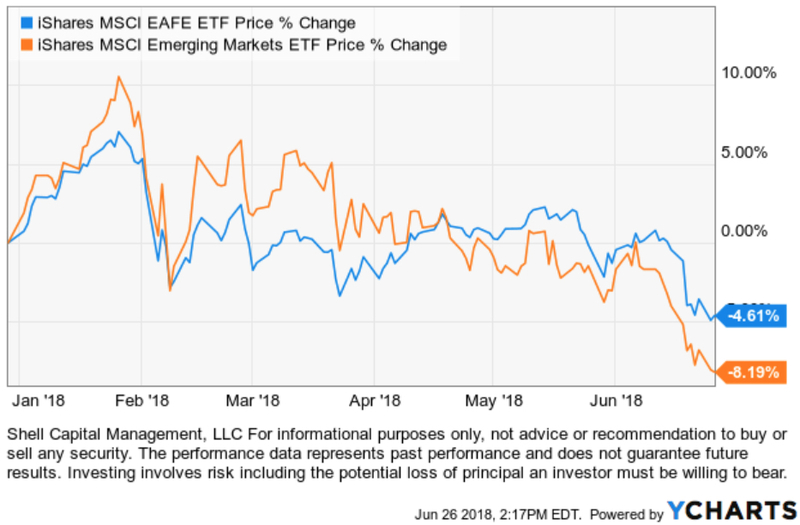 As the Dollar gained and the Emerging Markets stock ETF declined, the currency-hedged ETF of the same index fell about half as much. To be sure, I’ve zoomed in the show only the past 3 months of the price trends. So far in 2018, the U.S. Dollar is rising, and International stocks are falling, but it doesn’t seem to be just the rising Dollar driving them down.